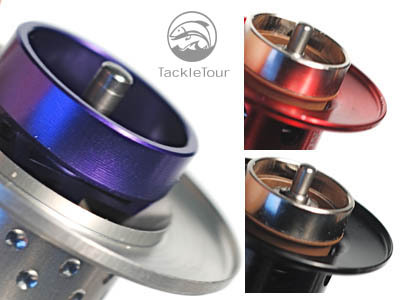 Introduction: There is nothing that stirs the collective buying juices of the TackleTour readership more than the mention of a special edition reel. 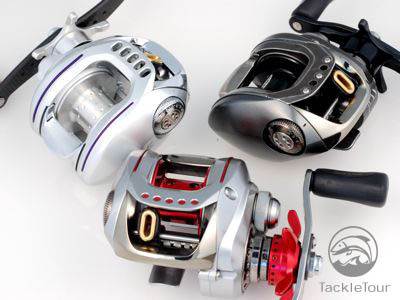 Daiwa Japan has grown legendary with such offerings. In fact, it has reached a point where these limited production reels are expected of this manufacturer each and every year. 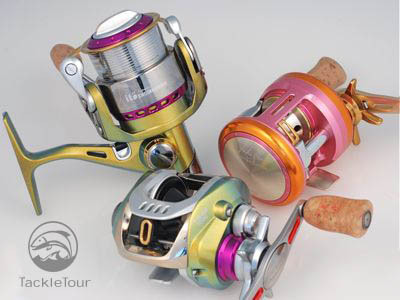 In the latter half of 2007, through a partnership with Deps and through the efforts of their own version of skunk works, the I'ZE factory, Daiwa Japan produced two special edition Zillion reels that have taken flight with destinations to many a Tackle Enthusiasts' arsenal. With such frequent offerings though, has the luster of what was once considered limited, exclusive, and exotic, waned? What is it that's so unique about these two special edition Zillion reels that has our enthusiasts across the globe in such a froth over acquisition? Lastly, at almost double the price of a standard edition Zillion, are there any true, tangible performance differences one can discern while using these supertuned Zillions? Introducing our detailed look into the 2007 Special Edition Zillions: The Deps ZDV Zillion and the Zillion Hyper Long Cast (HLC). 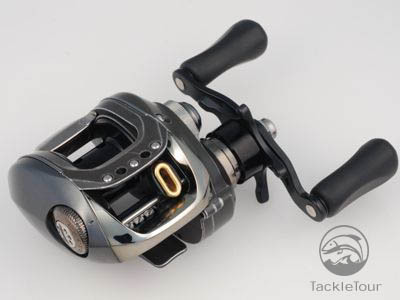 The Buzz: So what makes a limited production reel from Daiwa Japan so special? 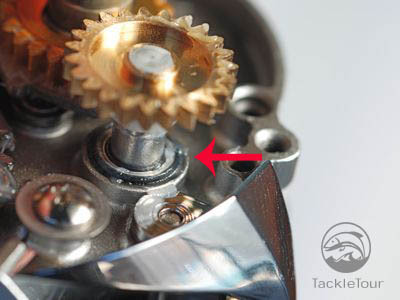 With the 2002 TDZ Type-R it was a specially shaped rotor on the reel's spool to enable casting of lighter baits. With the 2003 TD-Ito, it was mostly the company's association with Megabass founder, Yuki Ito and his highly stylized color schemes. 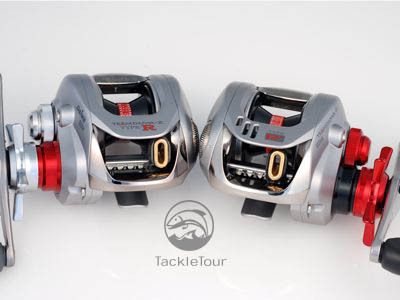 The internals of the actual reels were borrowed from pre-existing designs, namely the 2002 Type R. In 2004, Daiwa re-introduced a tuned TDZ with a Type-R+ rotor - not quite as aggressive as the Type-R, but similar. The list goes on and Daiwa Japan has offered special versions of their Exist, Certate, Alphas, Pixy, Millionaire, and other reels. Some have included actual mechanical enhancements while others have simply offered cool color schemes. So what's the deal with these two special edition Zillions? Let's take a look. Deps ZDV: Designed by Deps founder and CEO, Kazumasa Okumura, the ZDV is akin to the end result of a Zillion on a body building regiment. Benefiting from 5 extra bearings (four in the handle, and one on the line guide wormshaft) and a unique stone-washed, hand buffed finish, the ZDV is purportedly smoother and more rugged than the standard Zillion. Carrying this even a step further, the guts of the ZDV, (i.e. 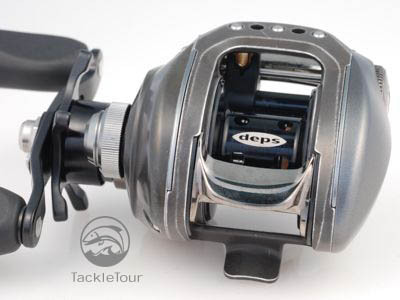 the main gear) have been built using the same alloy as that of Daiwa's famed Saltiga reels and the pinion gear is made from a tough, stainless steel alloy. What the ZDV does not have is a tuned casting mechanism nor a standard sized handle. In fact, the handle on the ZDV is shortened to 74mm which seems to be the preference over in Japan for the majority of their bass reels. The specified weight of the ZDV is the same that of the standard 100H/HL Zillion at 8.2 ounces though for some reason, out of the box, it has the impression of being heavier. 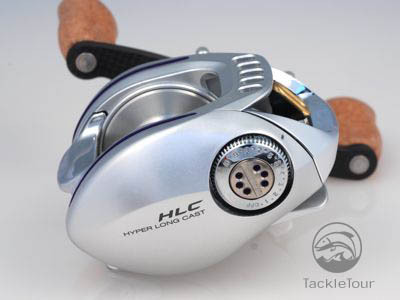 Hyper Long Cast (HLC): With a bright silver finish and flashy purple highlights, the Zillion Hyper Long Cast is almost the anti-ZDV. 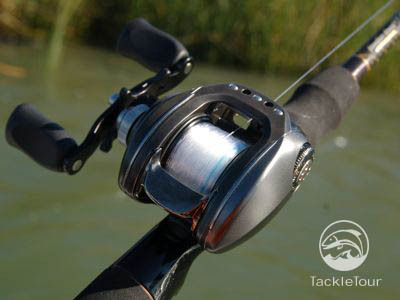 It is a reel designed and engineered entirely within Daiwa's I'ZE Factory with maximum casting distance being the goal. As such, early prototype shots show a tuned rotor tapered similar to that of the Type R+ along with specifications for a spool that is 20% lighter than that of the standard Zillion. Keeping in the same spirit as the spool, the HLC comes in with a specified weight of almost one full ounce less than that of the standard Zillion 100H/HL (7.4 vs 8.2 ounces). It also features a custom 90 mm carbon handle, though strangely enough, not the I'ZE Factory swept 90 mm carbon handle. What the production HLC does not have is the tuned rotor shown the reel's prototype shots, however, the rotor is indeed different from the stock Zillion spool. The exclusion of a tapered rotor makes sense as this feature, common both the Type R and Type R+ rotor, is really intended to make casting of lighter baits and slow speed presentations easier. The Type R and Type R+ rotors are not systems for engineered for maximum casting distance. We extended the rotors out of each spool for these shots. Notice how the Zillion HLC's rotor (left) is not as tall as that of the Zillion 100SHL (top right) or ZDV (bottom right). This is probably the extent of the HLC's tuned casting system. With that in mind we can only assume the difference seen in the HLC's production spool versus that of the ZDV and standard Zillions are to effect longer casts, but of course, that's why we conduct our field tests. Another area of question with the Zillion HLC is its lack of bearing supported knobs. For a reel in this price point, it seems quite the egregious oversight. 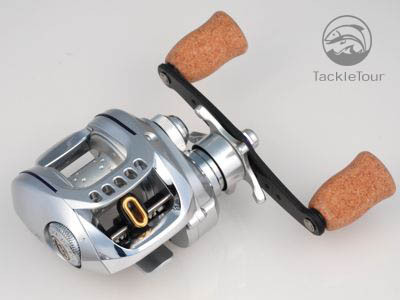 Features Tuned Magforce Z brake, Stainless Steel Bearings, 20% reduced weight spool. Internals: So are all these differences touted in the specifications of both the ZDV and HLC Zillions really there? 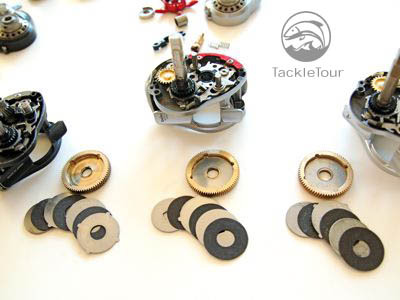 We took our reels apart to have a look inside. If the ZDV's main gear (bottom left) wasn't specified as being of a different material, we'd never know just from looking at it. 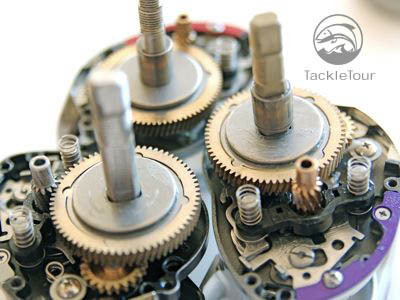 The Gears: First up for comparison are the reels' main gears. 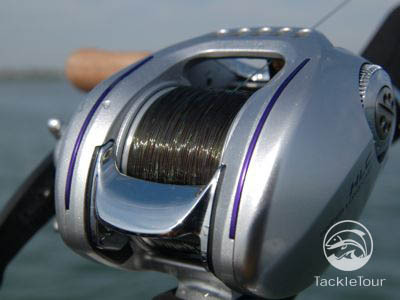 the ZDV's specifications state the reel's primary gear is made of the same alloy as that of the Daiwa Saltiga reels. Unfortunately, there are no visual clues for us to verify or debunk this claim. By visual inspection all the gears appear to be of the same material, but we'll give the ZDV the benefit of the doubt here. 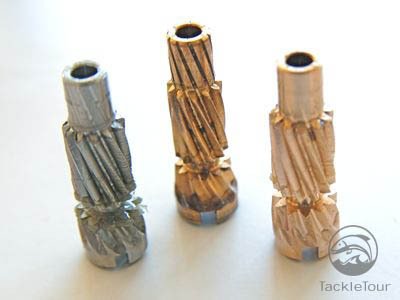 The ZDV's pinion (left) is obviously of a different material than that of the other two Zillions. Pinion Gears: The reason for this leniency is visual inspection of the pinion gears verifies the ZDV's specifications of this component being of a different material, specifically, a stainless steel alloy. Since this difference is obvious, we are inclined to believe the primary gear of the ZDV is indeed different. The HLC, on the other hand, appears to have standard Zillion internals and no claims to the otherwise are made. The drag stacks for all three reels were identical. We simply did not take out the eared washers in the 100SHL (center) and HLC (right). Drag Stacks: Drag stacks for each Zillion incarnation were identical, so we have no reason to believe one is stronger or weaker or less or more consistent than the others. We're actually quite happy with the Zillion's standard drag in any case, so the fact there are no differences here is a good thing. Another look at the spools of the ZDV (left), 100SHL (middle), and HLC (right). Note how the HLC's rotor appears to sit lower than the other two. 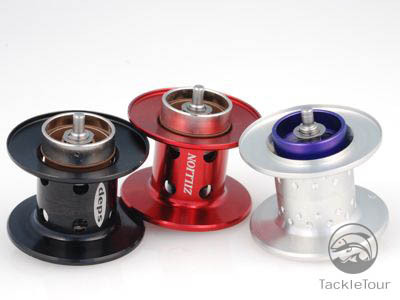 The Spools: Both the ZDV and standard Zillion reels come with MagForce Z brake systems and the rotors for these reels would bear that out - they are identical. The HLC is specified with a tuned MagForce Z brake system which is evident by its slightly shorter rotor. Weights of each spool are 20 grams for the 100SHL, 18 grams for the ZDV, and 15 grams for the HLC's. The 5 gram difference between the 100SHL and HLC spools equates to a 25% rather than 20% stated weight difference. Both the ZDV and HLC sport bearings at the wormgear for added smooth performance. Bearings: Finally the bearing count differences of five more for the ZDV and one more for the HLC can be attributed to four bearings in the handle plus one on the levelwind wormgear for the ZDV, and just the levelwind wormgear bearing for the HLC. Nice touches for both reels though the HLC really should come stock with bearings in the knobs considering the reel's price point. By the way, these upgrades are easily made to your standard JDM Zillion. For US market Zillions, the wormdrive bearing is simple enough to upgrade, but you will have to buy a new handle if you want bearings under the knobs as the knobs on the US market Zillions are riveted onto the handle. Real World Test: On the water, both the ZDV and HLC do not feel too much different than their standard Zillion counterparts. Aside from their relative handle lengths and the HLC's lighter weight, ergonomics are very similar. Palming both reels, brake and drag adjustments are all the same.